Tenancy Agreement/Admin Fee - Provision of an expertly written tenancy agreement, brokering agreed amendments between landlord and tenant, and arrangement for completion and signature of the agreement by both parties, and registering your deposit with the Tenancy Deposit Scheme. Your deposit is typically six weeks rent. 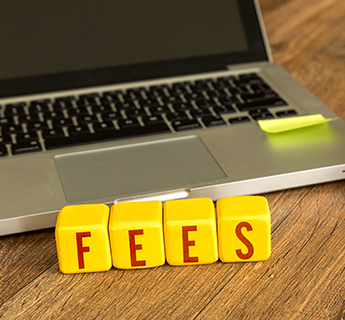 Referencing Fee - The cost of referencing includes checking your credit status, previous employer, current or past landlords, and taking into account any other information to help assess the affordability of your tenancy application. Check-in Fee - The cost of arranging for a clerk to meet you and agree the current inventory of the property at the start of your tenancy. The cost of the check-out at the end of the tenancy is met by the landlord. Change of Occupancy - Contract negotiation, amending and updating terms and arranging a further tenancy and agreement. Future Landlord Reference Fee - Collating information and preparing a reference for a future landlord or letting agent.